With a talent for art that was natural and raw, David was raised in the Shanties – a deprived area of the Shady City that rarely breeds success. He fought against the shackles of his upbringing and child hood traumas to become a notable member of the art community in Coldford. Unfortunately for David he was unable to out run his demons forever and an addiction to drugs and alcohol pulled him back. As rough as sandpaper around the edges, David is the product of his upbringing. He isn’t polite spoken and his general manners leave a lot to be desired. Underneath it all though beats the heart of a truly caring man. Once upon a time his work – paintings and sculptures – were sought after by collectors from all over. Now he is only seen as a down and out addict with the stink of the Shanties still on him. His explosive relationship with fellow addict, Laura Doyle, aided in that downfall. He doesn’t seek fame. He doesn’t seek fortune – although he wouldn’t turn down either. What David truly wants is for his work to have the same adulation it had before. To have someone appreciate the colours of his heart and soul that he paints onto canvas is more important to him than any amount of money. David may just be on the up and up though. He has found inspiration in the form of a new muse, the unworldly and innocent seeming Julia Harvester – daughter of the old Harvester and heir to the Harvester dairy and meat brand. It’s a dangerous path David walks as he opens old wounds and suffers the pain in the name of art. Subscribe to the page for all the latest updates from Vivika Widow’s latest thriller. 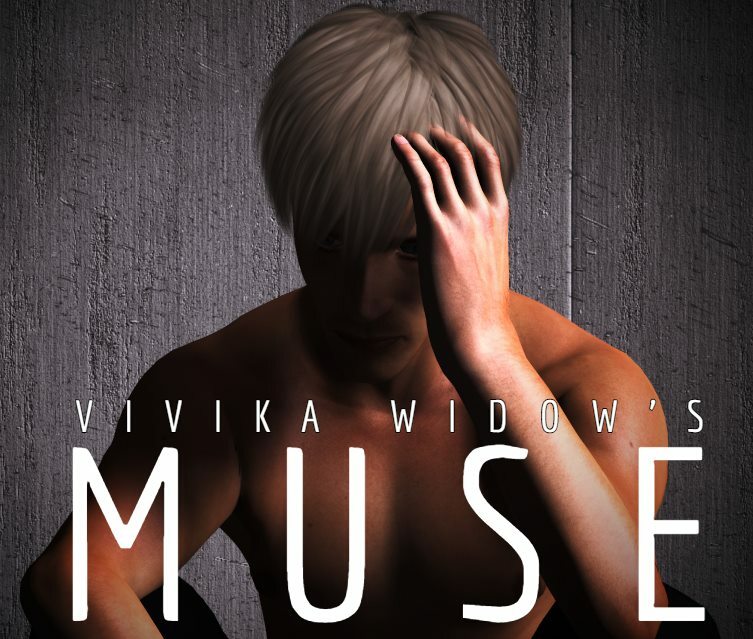 Click HERE to read exciting new thriller MUSE.